Cambodian New Year – celebrate in true Khmer style! Have you ever dreamt of being able to fly? 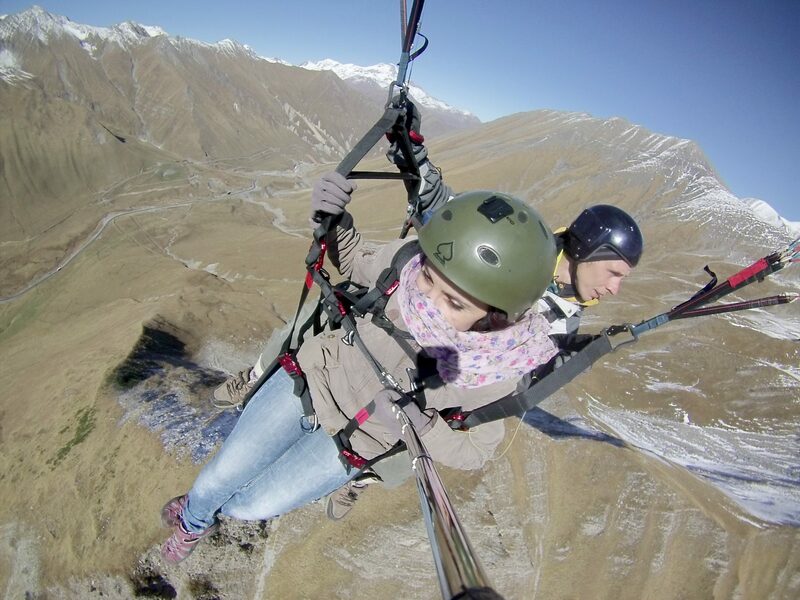 Well, here’s a unique way to explore the stunning Georgian landscape. 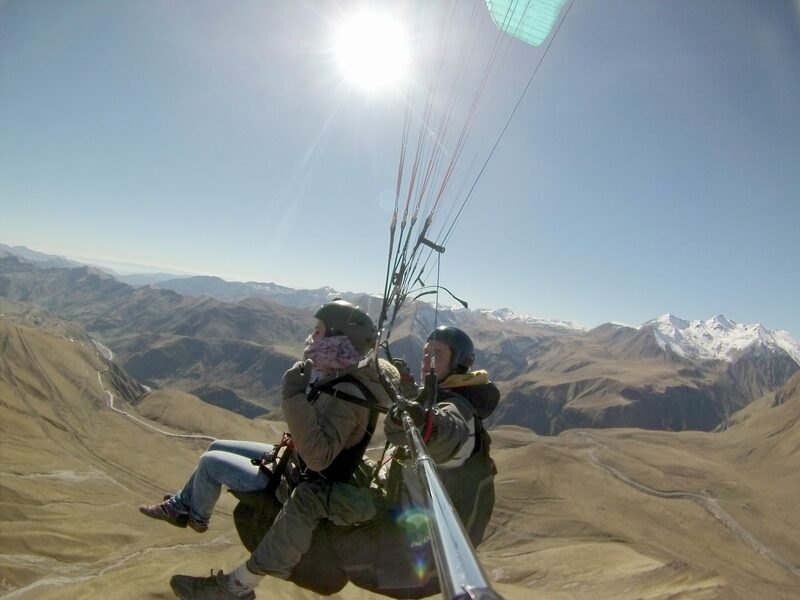 Paragliding will give you a breathtaking bird’s-eye of view of the mountain scenery. 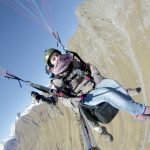 If you are an adventure sport enthusiast or have always thought of giving paragliding a try, then this is the perfect opportunity. 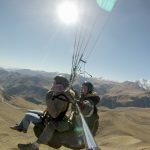 You are bound to make your Georgian holiday an extraordinary experience with paragliding. Includes: Video of the flight. 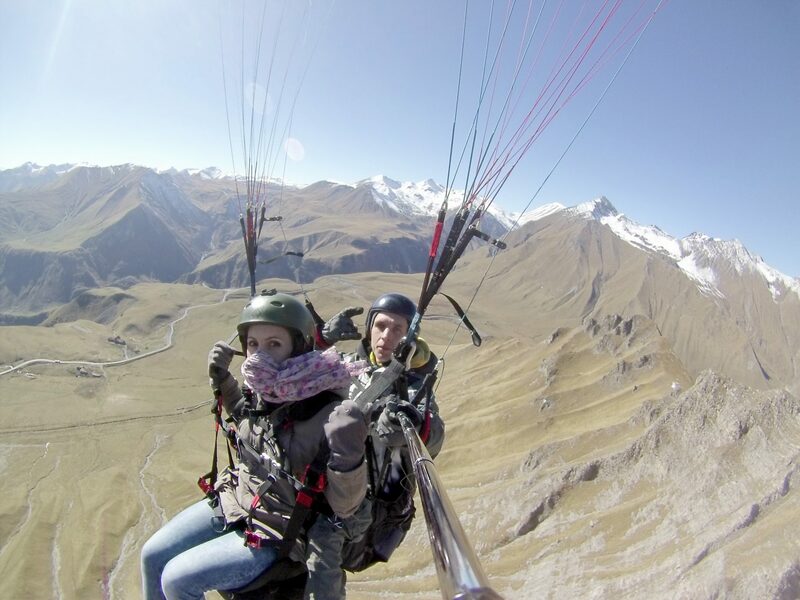 Tandem flight with pilot. Bookings: Bookings are essential. Minimum number does not apply. 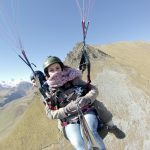 There is no height restriction for paragliding. Flights are subject to weather conditions. Bookings can be cancelled if it is very windy, foggy or raining. Each participant is provided training about safety rules before the flight. 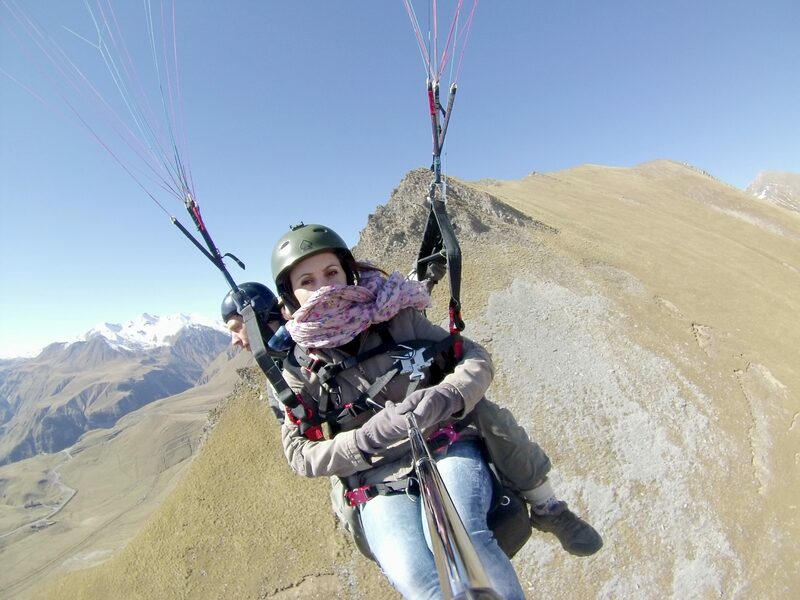 Paragliding is not recommended for people with high risk of heart disease or fear of heights. Participants will need to sign an ‘acceptance of risk’ declaration to the service provider prior to flight. 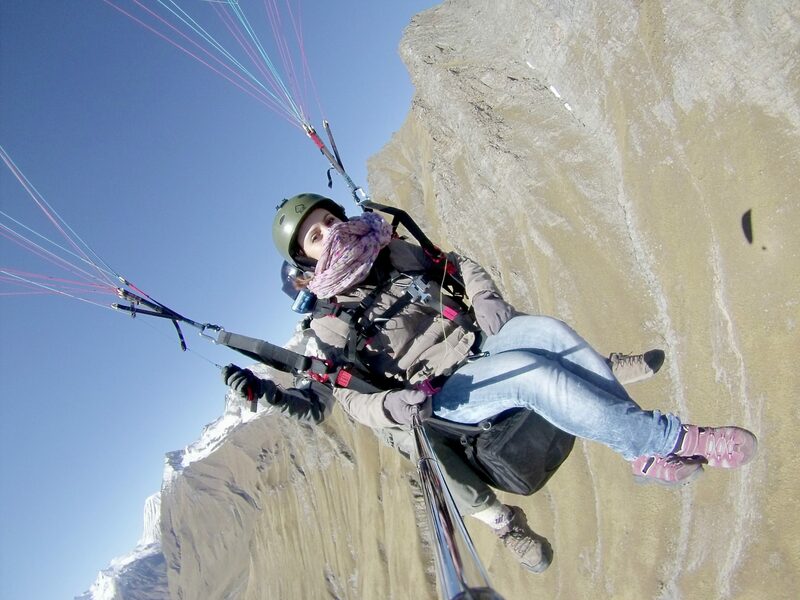 Paragliding pilots are all qualified with relevant certificates & are part of the Union of Georgian Pilots.